Featherstone was lucky enough to host the final lecture and workshop in the much-anticipated NJI @ Parsons series – a weeklong luxury jewelry and timepiece intensive, taught through morning lectures and afternoon excursions. Kevin Reilly from Platinum Guild International started the afternoon with a lecture on the history of platinum before Deirdre took the floor to discuss the Featherstone Fine Jewelry line. 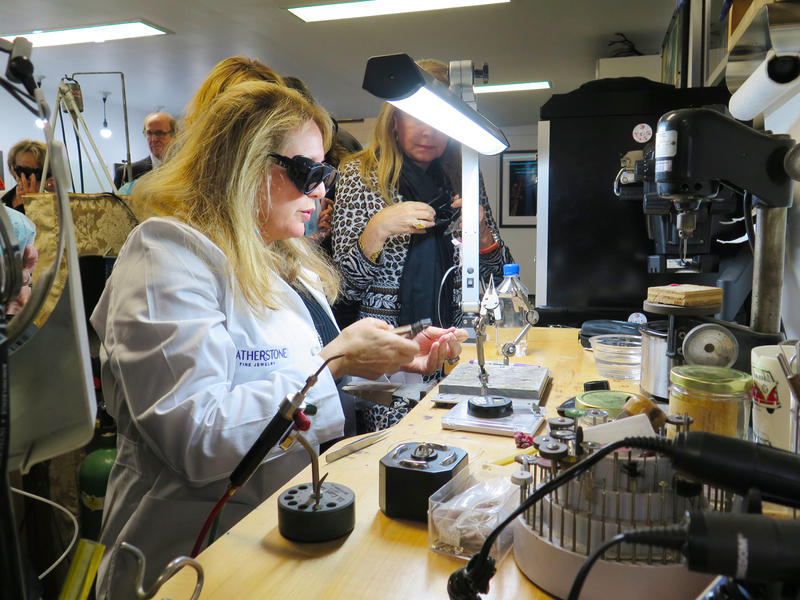 Following the presentation, the students came down to the benches to watch a platinum welding workshop – Deirdre and our two bench jewelers, Pavel and Sergey, demonstrated how we would build a pair of platinum bellies for our collection. 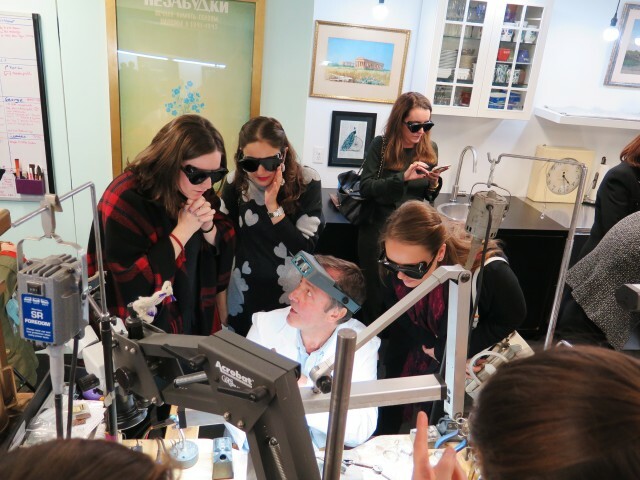 Finally, the students had an experience to examine our collection firsthand. 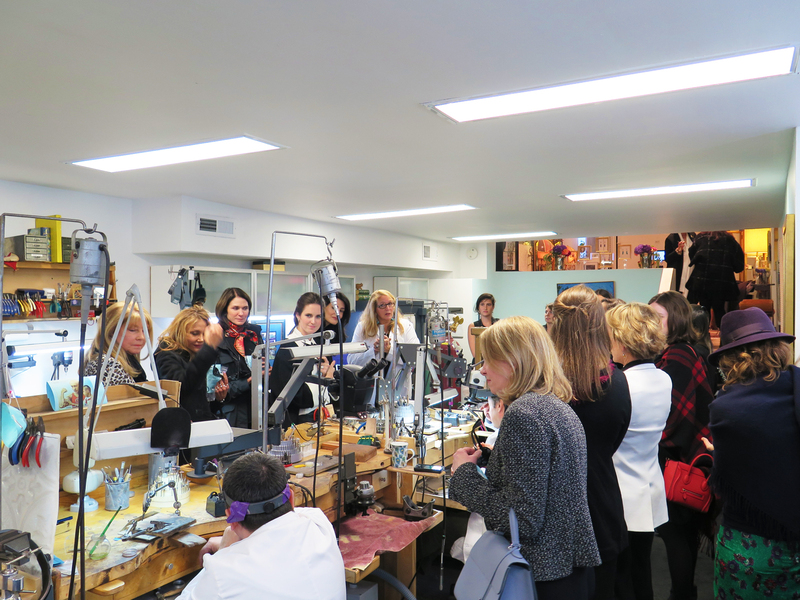 It was so great to have such a great group of jewelry enthusiasts so excited about our collection. We hope to have you all back in the studio again soon – and we’ll have our new platinum bellies to show you when you come!. Pavel gives a demonstration on his bench. 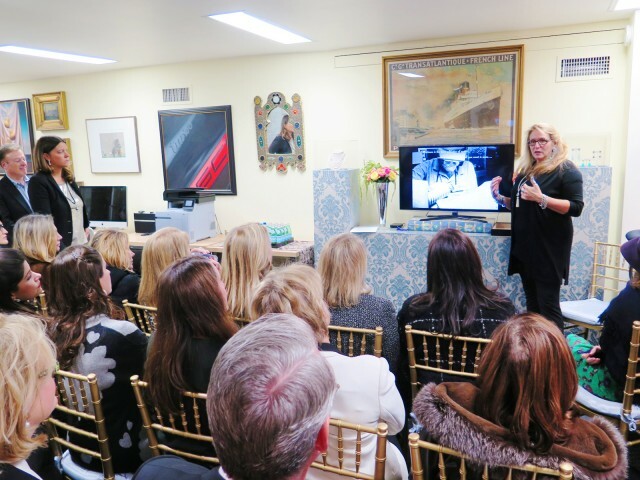 Deirdre and Kevin Reilly, Vice President of Platinum Guild International giving a presentation on our favorite metal, platinum.